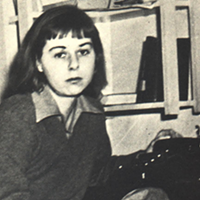 The Southern Gothic novelist Carson McCullers was just 20 when she got married, moved to Charlotte, and began writing her most famous work, The Heart is a Lonely Hunter. McCullers' debut novel, released in 1940, is about the life of a deaf mute and a bunch of misfits. It's set in a small Georgia mill town likely inspired by the Dilworth neighborhood she lived in at the time. The book shot to the top of bestsellers lists and nearly three decades later became an award-winning film starring Alan Arkin, Sondra Locke and Cicely Tyson. Had she lived, McCullers would have celebrated her 100th birthday last month, and Charlotte's literary community will be paying homage to the city's best-known author throughout 2017. One organization with plans to honor McCullers' centennial is the Charlotte Center for Literary Arts, better known as Charlotte Lit, which celebrated its own one-year anniversary on McCullers birthday, Feb. 19. Co-founder Kathie Collins says the two events dovetail perfectly. "[The Heart is a Lonely Hunter] is a classic, it's really a great thing that Charlotte can claim," Collins says. "What Carson McCullers has done in that book is phenomenal in terms of trying to explain human nature." Charlotte Lit's year-long Carson McCullers Centennial Initiative and Celebration began in January, but really kicked into gear at the organization's featured event last month at Copper, an Indian restaurant housed in the historic Mayer House on East Boulevard. 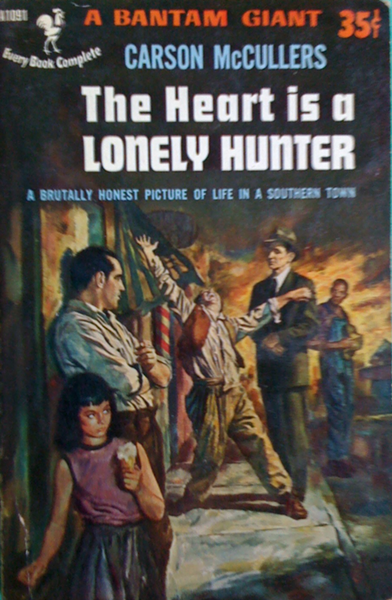 McCullers wrote a large portion of The Heart is a Lonely Hunter in the Mayer House, built by Edward Dilworth Latta's construction company. In 1936, when McCullers lived in Charlotte, the house was a boarding residence. "She is probably the most famous author to have lived in Charlotte," Collins said. Collins appreciates authors, famous or otherwise. In 2015, she opened August Moon Creative Co-op, a workspace where readers and writers could meet over a shared love of literature. It became the launching pad for her and co-founder Paul Reali's Charlotte Lit, which opened on the third floor of Central Avenue's Midwood International and Cultural Center last February. The space — with writing desks, good lighting and ample room for author readings, discussions and workshops on all aspects of writing — would be the kind of place McCullers might have attended or conducted a workshop or reading. "Her work has been powerful in this last year since I've picked it back up," she admits. Selecting McCullers, Reali says, goes along with the discussion component Charlotte Lit focuses on. 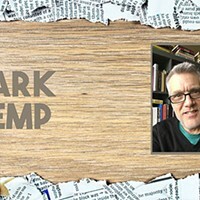 "What we like to do is bring these ideas that are in these books and use these works as a springboard for the conversations we all need to have," he says. "One of the reasons I think we decided to adopt Carson McCullers for the entire year was that the themes in the book are all still relevant," Reali adds. "And some of them were actually, I think, groundbreaking at the time. "It's subtle in the book, but there are issues of gender identity, gender fluidity and possibly sexual orientation. That was just not really written about during that time," Reali says. "There's also race and class and disability and religion. These are all in this book and all relevant today." Among the events scheduled for Charlotte Lit's McCullers Initiative are several book and film events based on the author's works, as well as a panel discussion called "The History of Her Stories" at Central Piedmont Community College (see sidebar for more such events). Central Piedmont college hosts a yearly celebration of literature and the arts called Sensoria, founded in 1993 as the Spring Literary Festival by Irene Blair Honeycutt. 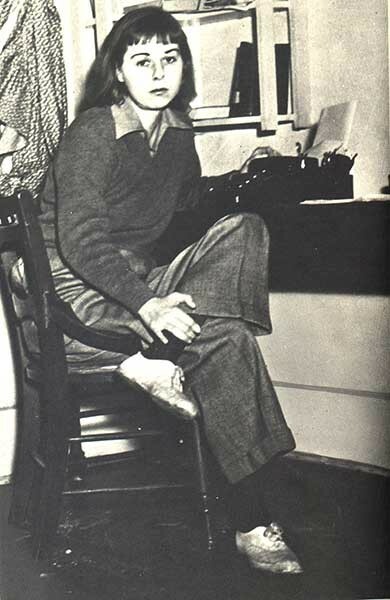 Honeycutt was Collins' mentor and editor of her collection of poems. "She's been a good friend and founding member of Charlotte Lit," Collins says. Among the events happening during the week-long Sensoria fest, Charlotte Lit will present Honeycutt with its annual award named in her honor — the Irene Blair Honeycutt Distinguished Lecturer — to celebrate the 25th anniversary of the festival she launched. "It all comes back to community," Reali says. "We sometimes say very specific things like, 'We exist to educate and engage readers and writers.' In all of this we are building community through the literary arts. And a lot of that just requires putting people in the same space together." "And putting a good book in front of them," adds Collins. 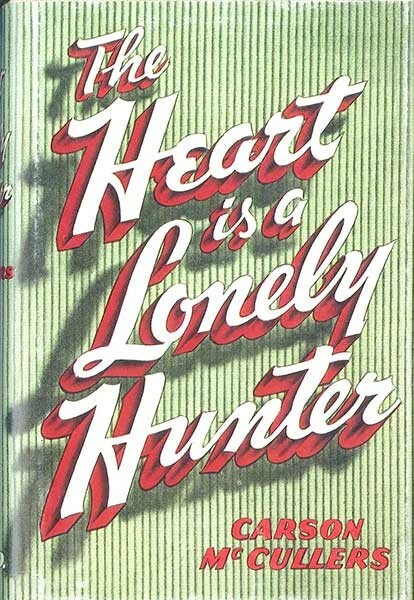 Might we suggest The Heart is a Lonely Hunter?